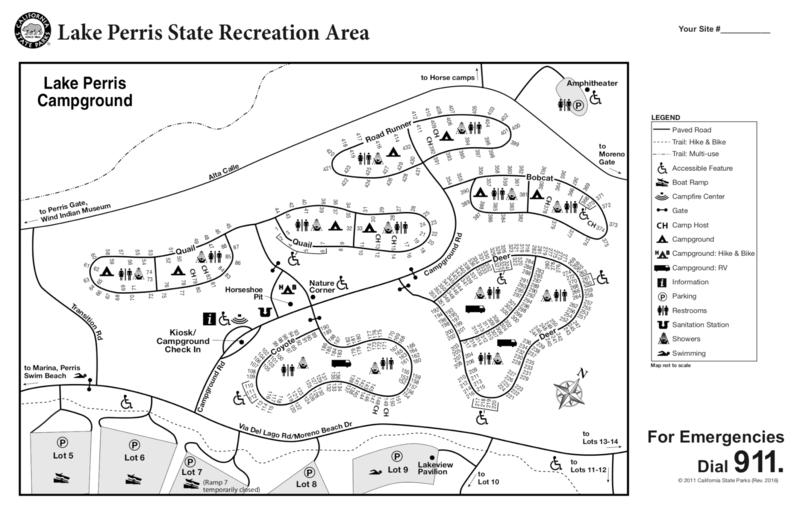 Lake Perris Campground sits above the lake and has 431 sites, all with tables, BBQ grills and campfire rings. There are 167 sites for tent camping (non-hookup sites) and 264 paved sites for RVs (hook up sites, with up 41 feet). Many of the campsites are shaded by trees, which help keep things somewhat cool during the hot summer months. The campground has an RV dump station, flush toilets and hot showers. Seven equestrian campsites, group camping and hike/bike campsites are also available. 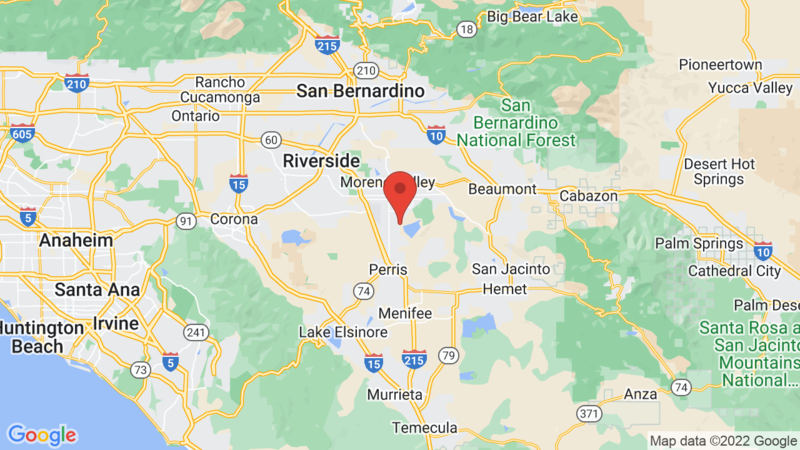 Formed by Perris Dam, Lake Perris offers a variety of water recreation, including swimming, fishing (shore, pier and boat), boating, sailing, waterskiing, and a special area for scuba diving. Wildlife includes ducks and Geese. Anglers can find rainbow trout, catfish and Alabama spotted bass. The area also offers opportunities for hikers, bikers and equestrians. Rock climbing is featured in an area south of the dam. The Ya’ Heki’ Regional Indian Museum is in the area, along with a 2,000-acre reservoir. Lake Skinner Recreation Area also is nearby and has a beautiful campground with 257 campsites (199 full hookups).